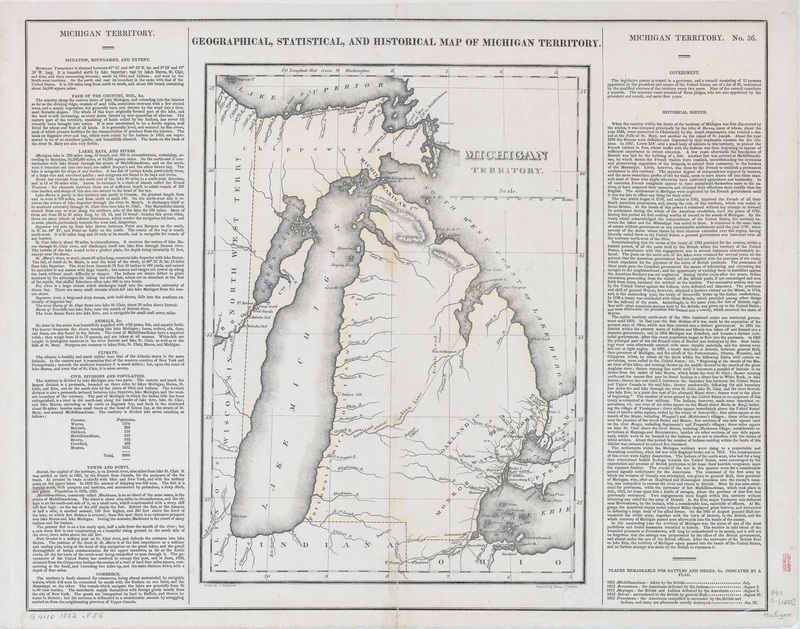 Michigan Territory. By James Finlayson. From A Complete Historical, Chronological, and Geographical American Atlas, published in Philadelphia by Carey and Lea in 1822.